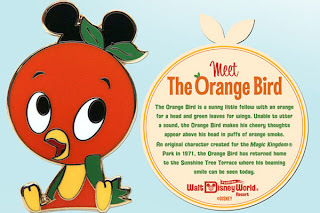 I first was introduced to Orange Bird when a friend from college who ended up working at the same school as me mentioned she remembered seeing a song about him when she was a kid. We googled for his picture but I didn't recognize him. He had long since left Magic Kingdom at the time of my first trip in 2006. I forgot about him until the news about his return came on Disney Parks blog a few months ago and was absolutely smitten! I watched the tediously long youtube video of the song a few times, scoured for the new stories and merchandise and just loved him! I was so psyched for Adventureland, which is already a favorite area of mine. I love the throwback tiki architecture and Sunshine Tree Terrace is under-rated by most (in my humble opinion). In my mind Orange Bird was a must see on our next trip. When I booked a Memorial Day long weekend at Grand Floridian it felt too good to be true. I would be staying in the luxurious flagship hotel at Walt Disney World - pinch me - what a dream! As with so many things in life it turned out that it was too good to be true. Several days before leaving my husband told me that he didn't really want to go away- the semester had worn him down and he was too exhausted to make any good of an early morning travel day, but more than that he didn't really want to go because we were constrained to only a few days because of work schedules. A little depressed (but also keeping in mind how blessed I have been to take multiple trips down to the world in the last few years) I reluctantly contacted our travel agent and canceled our trip plans. No Grand Floridian. No new memories and pictures. No Orange Bird. My weekend has been wonderful, just what you would expect from a Memorial Day with a fun night of NHL playoffs with friends, barbecues with friends and with family, just overall relaxing and laughing with the people I love (and I still have another day off to go). I can't help but think from time to time where we "would" have been had we gone away, though. As my husband and I have started to discuss the prospects of a super long trip next summer and where we will go this summer to spend all the vacation money we are getting back from our original reservation, I found myself feeling like this wasn't so bad after all. Then, there was a sign that showed me everything was okay, that everything truly does happen for a reason. My mom and dad were out at a local flea market today and my mom called me to tell me there was a vendor there selling Disney pins. She knew I had collected a few and was wondering if there was a particular one I was looking for. I immediately thought of Orange Bird, and when I mentioned him to her she said "there is one right here I am looking right at it". Her and my dad bought me the pin and when I got it from them I couldn't help but see the magic that had found its way into my Memorial Day weekend even without going to Disney. 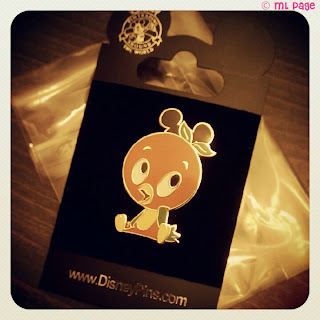 Hadn't I planned to stop at the shop in Adventureland to pick up a pin and maybe some other Orange Bird merchandise? So what if I wasn't in Magic Kingdom sipping from an Orange Bird souvenir cup from Sunshine Tree Terrace as I had planned to be today? 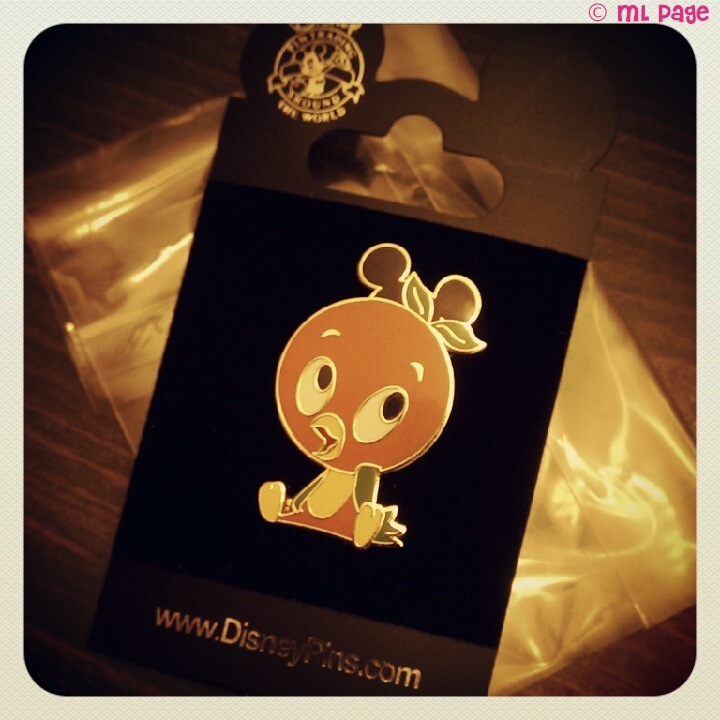 Somehow just as I had planned I ended up with an Orange Bird pin today. I will be back and it really is okay to postpone plans or hold out for a better trip sometimes... because magic is everywhere as long as you don't forget to open your eyes and look for it or even make it yourself. Thanks little Orange bird (and Mom & Dad) for the reminder. Thanks for this post. My husband and I might have to cancel our trip because we need to buy a new car.. I am really depressed about it.. But yours turned out great!